Mysnow Experience is a free introduction to alpine skiing or snowboarding in an urban park. 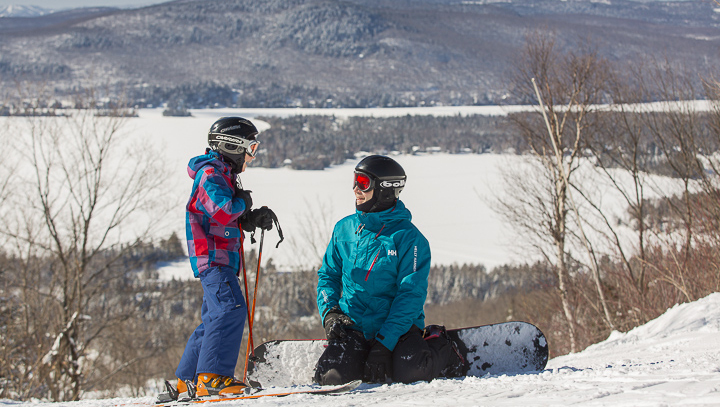 It promises hours of unforgettable winter fun in the great outdoors, where students learn basic alpine ski or snowboard techniques in a great environment, under the supervision of enthusiastic, dynamic team leaders. The bonus? Skis, boards, boots and helmets are provided! We host 3 groups per day, with a maximum of 45 children per group. Plan an extraordinary school outing! Teacher, are you looking for the perfect winter school outing for kids aged 5 to 8? Book a Mysnow Experience! Skiing in fall season? Yes, it's possible! 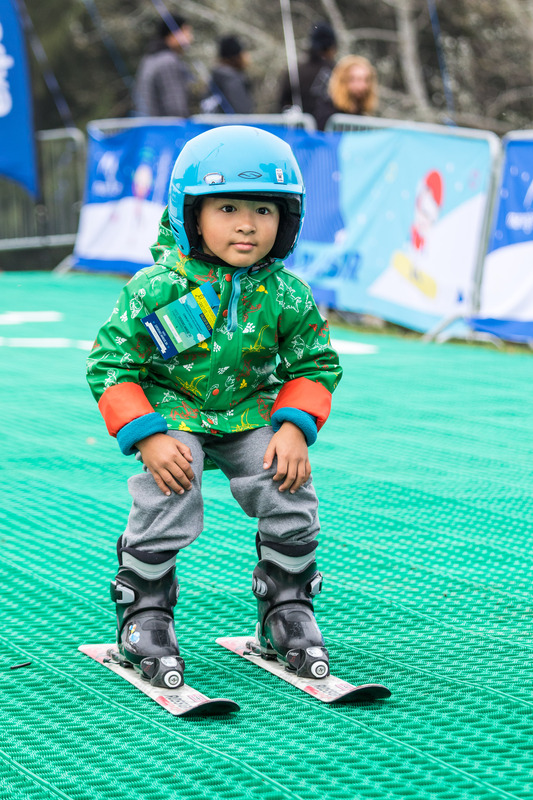 It is now possible for your children to get an introduction to skiing, in fall season, with the new dry slope! Freshly installed in the Centre de la nature de Laval, the dry slope creates the same glide feeling than the snow, but can be used all year long. Meet us at the Centre de la nature de Laval, every fall week. Always free, the activity is offered to kids from 5 to 8 years old. The complete equipment is included (helmet, boots, skis). Long shirt and pants are mandatory. No personal equipment will be allowed on the site. The helmet is mandatory, and included in the equipment. Every child will have a Mysnow Experience package after the introduction. See the bottom of this page to get more details. The package, at the cost of $25, includes: a group lesson of at least 60 minutes and equipment rental with a helmet. See the opening hours below. Open from January 9th to March 1st 2019. Book now ! Places are limited and leave very quickly. To make a reservation or for any questions, please send an e-mail to groupescolaire@assq.qc.ca or by phone at 1 (877) 686-3443. The time of the chosen session(s) and the number of children per period.